It’s powerful, it’s beautiful and it’s very, very green (but not in the way you’d expect). It’s name is also hard to say completely in just one breath. Yes, we must be talking about the ‘hot off the Geneva presses’ 2011 Lamborghini Gallardo LP570-4 Superleggera. With just one glance you note that this Lambo isn’t your everyday, run-of-the-mill supercar. Notice the huge spoiler, Reventon styled front fascia, and the huge, huge rear diffuser (not unlike the one on the new 2011 Gumpert Apollo S). But there is more than meets the eye than just aesthetic trinkets. The name Superleggera translates to, quite literally, super light and it tips the scales at shockingly low 2,954 lbs! Ok, numbers are just numbers though- how light is that really? Lets get a comparison here. A standard Chevy Cobalt with a 4-cylinder motor weighs in at predictable 2,681 lbs- just 273 lbs less than the LP570-4 Superleggera. 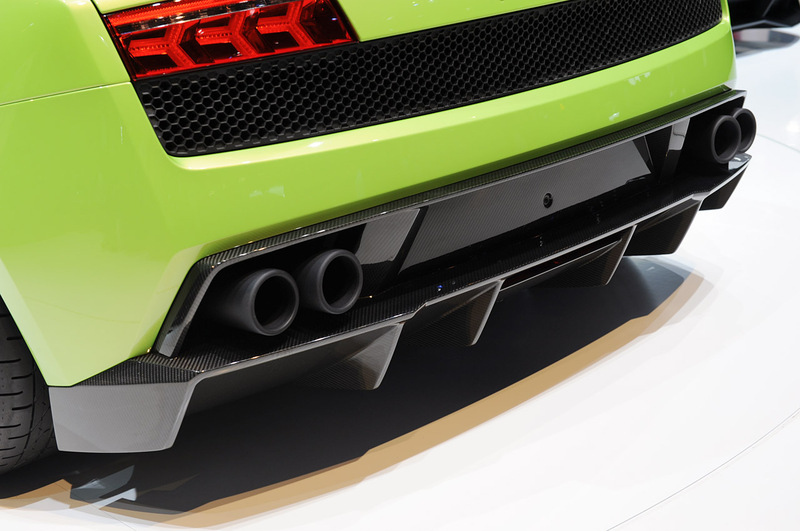 For a measly 273 extra pounds the Gallardo gets the trademark Lamborghini 5.2L V10 that churns out a massive 561 horsepower. It gets a complete carbon fiber body. It even gets gorgeous lightweight aluminum wheels (the best looking stock wheels we’ve ever seen on a Lambo). What an amazing car. The only non-amazing part is bound to be the price tag for the 2011 Lamborghini Gallardo LP570-4 Superleggera, a secret that not even the Geneva Auto Show can steal from Lamborghini’s lips just yet.